Whether you have a countertop microwave or one installed over your cook stove, these wonderful time-saving appliances can become a mess to clean in no time. I have a daughter who puts an entire frozen pizza in it uncovered and the splatter goes all over the inside making it difficult to get off. The tomato and cheese stick on like glue. Remove the glass rotating plate and soak it in the sink. It’s a breeze to clean with just dish detergent and hot water. Take out the roller ring under the plate and soak it on top of the glass plate in the sink. Rinse both pieces and towel dry with a cotton cloth. Paper towels get stuck in the roller ring wheels and you need tweezers to get it out. 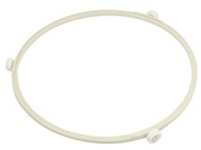 This ring is made of plastic, so be careful with it. If you do break the plate and rotating ring, you can buy replacements on Amazon.com®. These are available by size and brand name. 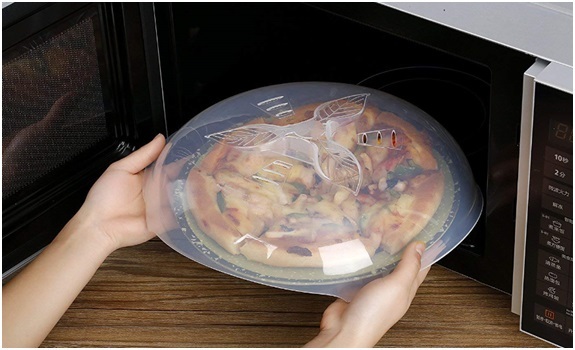 Put a bowl that is microwave safe into the oven filled with water. 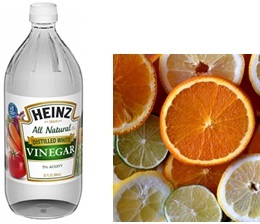 If you like, add citrus or several tablespoons of clear distilled vinegar into the water. Apple cider vinegar is okay to use too and the slight smell of apples is wholesome. Turn your microwave on high for about 10-minutes. If the mess isn’t soft to remove the first time, do it again. You want the water to boil and the inside of the oven and door glass to be steamy that loosens up the food splatters. Keep the door shut for about 15-minutes so that the steam can do its work and you don’t get steam burned. Remove the bowl and clean the inside bottom, sides, and top. I use a sponge for wiping it down because it’s easier to control whereas a cloth is bulky. I never use paper towels since they break off in corners and holes. If you have small holes where the lights are inside, use a cotton swab dipped in the water mixture and carefully twist to remove gunk. Around the rubber door gasket, use only water with a little dish detergent to get the grease and other debris off. Acids are not good for rubber products. For the glass, use the vinegar or citrus water to clean it inside and out; rinse, and towel dry. Glass cleaner can be used as well, but spray in on your sponge or cloth for the glass to avoid the liquid from dripping into the crevices. Do this on the control panel, the housing, and underneath the oven. This is a good time to remove the metal filters and soak them in the sink with dish detergent. Don’t put the filters in the dishwasher because most are made of a thin aluminum and they will tarnish with strong dishwashing soap. Just lift them up and down in the soapy water and the food spatters come out easily. 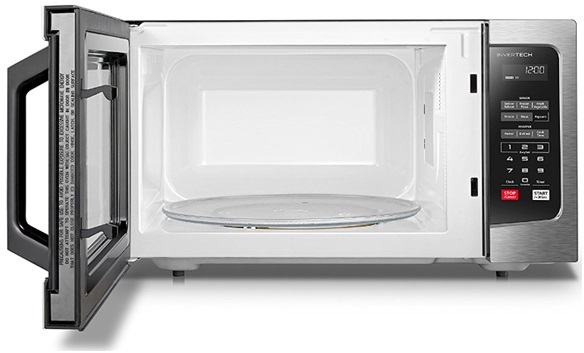 Rinse, pat dry with a cloth towel and let them air dry before reinstalling under the microwave. Don’t forget to get behind the door handle to clean the greasy stuff left by your hands and fingers. Glass cleaner on a cotton cloth is good for this. Never use abrasives, scouring powder, steel wool pads, or anything scratchy because it will do just that—scratch the plastic interior, exterior, and glass. I do not recommend you use Mr. Clean® Magic Eraser because it is abrasive for the interior and exterior plastic of microwave ovens. It is good for bathtubs. Remember the pizza baking in the microwave my daughter did? I found the tomato sauce on the pizza stained the interior plastic. I used a little bleach in soapy water and rubbed it around to remove the stain and it worked. The greasy pepperoni stuck to the tops, sides, and bottom, yet it came off easily after the oven was steamed with the water solution. Don’t use sharp knives or any metal to remove stuck-on food. The steam will remove it over time meaning you will have to use the water solution a few times. Glass baking dishes run over if not covered. For small dry foods, I cover with a paper towel. 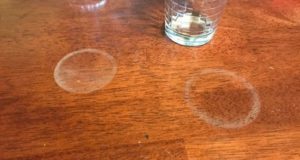 I also put a paper towel on top of the glass turntable to catch spatters and spills to make my cleaning job less time-consuming. You will find that a plate cover with vents for steam is very worthwhile to have. It saves tons of work and prevents splatters. These can go into the dishwasher on the top rack. 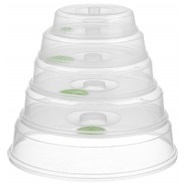 These covers also come in different size sets for your different size bowls and plates. The microwave plate covers nest together and only take up as much space as the largest size to save space in your kitchen cupboards. The adjustable steam vents allow you to control the steam by either keeping it in or letting it out. 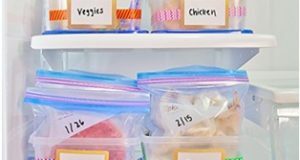 This helps you prevent both sogginess and dry food while cooking or reheating your meals. I swear by them to cook my food the way I like it and to sidestep cleaning the microwave all the time. By cleaning every few days and after you see splatters, clean the oven at that time. The longer you wait, the harder it is to clean, plus the oven stinks inside. Be sure to rinse window cleaner because you don’t want it permeating your food. Do not use harsh chemicals because some can catch fire. 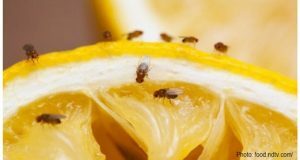 The best cleaners are vinegar, citrus fruits, and detergent. Leave your comments below and let me know what you like best to clean your microwave. I will reply to each of you.